Home / 2011 / April / Bill Fletcher Jr.
Bill Fletcher Jr., a longtime labor activist, will present a talk, "Right-Wing Populism and the Crisis of Organized Labor," 4 p.m. Thursday, April 21 in Humanities I, Room 210, at UC Santa Cruz. The event is free and open to the public. According to Fletcher, right-wing populism is a phenomenon deeply rooted in the U.S system and tends to emerge during times of economic distress and crisis. He argues it plays on fears and prejudices and is integrally connected to matters of race. Fletcher will address the importance of understanding right-wing populism and the role that a renewed labor movement can play in combating it. Fletcher is the co-author with Fernando Gapasin of Solidarity Divided, the Crisis in Organized Labor and A New Path Toward Social Justice (UC Press). He was formerly vice president for International Trade Union Development Programs for the George Meany Center of the AFL-CIO. Earlier, he served as education director and later assistant to the AFL-CIO president. He is an editorial board member and columnist for BlackCommentator.com and a senior scholar for the Institute for Policy Studies in Washington, D.C. He is the immediate past president of TransAfrica Forum and a founder of the Black Radical Congress. Fletcher began in the labor movement as a rank-and-file member of the Industrial Union of Marine and Shipbuilding Workers of America. He was also involved in efforts to desegregate the Boston building trades. He later served in leadership and staff positions in District 65-United Auto Workers, the National Postal Mail Handlers Union, and the Service Employees International Union (SEIU). 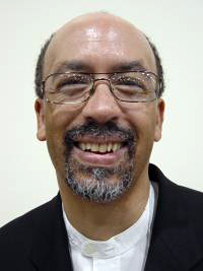 Fletcher is a graduate of Harvard University, author of numerous articles, and speaks widely on domestic and international topics, racial justice, and labor issues. His talk is sponsored by the UCSC Center for Labor Studies and is funded by the Miguel Contreras Labor Fund of the UC Office of the President, and co-sponsored by the UCSC Division of Humanities.